EU Law Analysis: The Commission’s draft EU-US Privacy Shield adequacy decision: A Shield for Transatlantic Privacy or Nothing New under the Sun? The Commission’s draft EU-US Privacy Shield adequacy decision: A Shield for Transatlantic Privacy or Nothing New under the Sun? On 6 October 2015, in its judgment in Schrems, the CJEU invalidated the Commission’s decision finding that the US ensured an adequate level of protection for the transfer of personal data under the Safe Harbour framework on the basis that US mass electronic surveillance violated the essence of the fundamental right to privacy guaranteed in Article 7 EUCFR and the right to effective judicial protection, enshrined in Article 47 EUCFR (for an analysis of the judgment, see here). On 2 February 2016, the Commission announced that a political agreement was reached on a new framework for transatlantic data flows, the EU-US Privacy Shield, which will replace the annulled Safe Harbour. On 29 February 2016, the Commission published a draft Privacy Shield adequacy decision followed by seven Annexes that contain the US government’s written commitments on the enforcement of the arrangement. The Annexes include the following assurances from the US: Annex I, a letter from the International Trade Administration of the Department of Commerce, which administers the programme, describing the commitments that it has made to ensure that the Privacy Shield operates effectively; Annex II, the EU-US Privacy Shield Framework Principles; Annex III, a letter from the US Department of State and accompanying memorandum describing the State Department’s commitment to establish a Privacy Shield Ombudsperson for submission of inquiries regarding the US’ intelligence practices; Annex IV, a letter from the Federal Trade Commission (FTC) describing its enforcement of the Privacy Shield; Annex V, a letter from the Department of Transportation describing its enforcement of the Privacy Shield; Annex VI, a letter prepared by the Office of the Director of National Intelligence (ODNI) regarding safeguards and limitations applicable to US national security authorities; and, Annex VII, a letter prepared by the US Department of Justice regarding safeguards and limitations on US Government access for law enforcement and public interest purposes. Similar to its predecessor, Privacy Shield is based on a system of self-certification by which US companies commit to a set of privacy principles. However, unlike Safe Harbour, the draft Privacy Shield decision includes a section on the ‘access and use of personal data transferred under the EU-US Privacy Shield by US public authorities’ (para 75). In this, the Commission concludes that ‘there are rules in place in the United States designed to limit any interference for national security purposes with the fundamental rights of the persons whose personal data are transferred from the Union to the US to what is strictly necessary to achieve the legitimate objective.’ This conclusion is based on the assurances provided by the Office of the Director of National Surveillance (ODNI) (Annex VI), the US Department of Justice (Annex VII) and the US Secretary of State (Annex III), which describe the current limitations, oversight and opportunities for judicial redress under the US surveillance programmes. In particular, the Commission employs four main arguments arising from these letters to reach its adequacy conclusion: Firstly, US surveillance prioritises targeted collection of personal data, while bulk collection is limited to exceptional situations where targeted collection is not possible for technical or operational reasons (this captures the essence of the principles of necessity and proportionality, according to the Commission). Secondly, US intelligence activities are subject to ‘extensive oversight from within the executive branch’ and to some extent from courts such as the Foreign Intelligence Surveillance Court (FISC). Thirdly, three main avenues of redress are available under US law to EU data subjects depending on the complaint they want to raise: interference under the Foreign Intelligence Surveillance Act (FISA); unlawful, intentional access to personal data by government officials; and access to information under Freedom of Information Act (FOIA). Fourthly, a new mechanism will be created under the Privacy Shield, namely the Privacy Shield Ombudsperson who will be a Senior Coordinator (at the level of Under-Secretary) in the State Department in order to guarantee that individual complaints are investigated and individuals receive independent confirmation that US laws have been complied with or, in case of a violation of such laws, the non-compliance has been remedied. 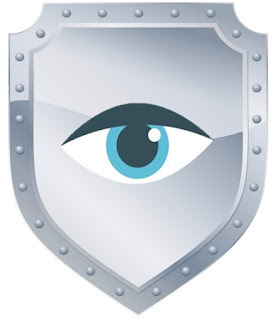 The draft Privacy Shield framework may have been hailed as providing an ‘essentially equivalent’ level of protection for personal data transferred from the EU to the US, but despite the plethora of privacy-friendly words (‘Privacy Shield’, ‘robust obligations’, ‘clear limitations and safeguards’) one cannot be very optimistic that the new regime will fully comply with the Court’s judgment in Schrems. A first problematic aspect with the US assurances is that they merely describe the US surveillance legal framework and the relevant safeguards that already exist. In fact, the only changes that were introduced in the US following the Snowden revelations was the issuance of Presidential Policy Directive 28 (PPD-28) (in January 2014) which lays down a number of principles on the use of signal intelligence data for all people; and the passing of the USA Freedom Act which modified certain US surveillance programmes and put an end to the mass collection of Americans’ phone records by the NSA (in June 2015). Finally, in February 2016, the US Congress passed the Judicial Redress Act which was signed into law by President Obama. Given that one can reasonably assume that the Court was aware of these developments when laying down its judgment in Schrems in October 2015, it seems that, with the exception of the Ombudsperson, Privacy Shield does not change much in US surveillance law. In fact, the Commission has entirely based its draft adequacy analysis on a mere detailed description of this law without any further commitment that this will improve in any way in order to comply with EU fundamental rights as interpreted by the CJEU. While the assurance that US surveillance is mainly targeted and does not take place in bulk is important, there is no reference to the fact that US authorities access the content of the personal data that was deemed to violate the essence of the right to privacy in Schrems. Furthermore, even if the US authorities engage only in targeted surveillance, the CJEU has held in Digital Rights Ireland that the mere retention of private-sector data for the purpose of making them available to national authorities affects Articles 7 and 8 EUCFR and might have a chilling effect on the use by subscribers of platforms of communication, such as Facebook or Google and, consequently, on their exercise of freedom of expression guaranteed by Article 11 EUCFR. Individuals, when faced with surveillance, cannot know when they are targeted; nevertheless, the possibility of being the object of surveillance has an effect on the way they behave. Insofar as Article 47 EUCFR and the right to effective judicial protection is concerned, the Commission itself notes in its draft adequacy decision that the avenues of redress provided to EU citizens do not cover all the legal bases that US intelligence authorities may use and the individuals’ opportunities to challenge FISA are very limited due to strict standing requirements. The creation of the Ombudsperson with the important function of ensuring individual redress and independent oversight should be welcomed as the main addition of the draft Privacy Shield. Individuals will be able to access the Privacy Shield Ombudsperson without having to demonstrate that their personal data has in fact been accessed by the US intelligence activities and the Ombudsperson, who will be carrying out his functions independently from Instructions by the US Intelligence Community will be able to rely on the US oversight and review mechanisms. However, there are several limitations to the function of the Privacy Shield Ombudsperson. First, the procedure for accessing the Ombudsperson is not as straightforward as lodging a complaint before a national Data Protection Authority (DPA). Individuals have to submit their requests initially to the Member States’ bodies competent for the oversight of national security services and, eventually a centralised EU individual complaint handling body that will channel them to the Privacy Shield Ombudsperson if they are deemed ‘complete’. In terms of the outcome of the Ombudsperson’s investigation, the Ombudsperson will provide a response to the submitting EU individual complaint handling body –who will then communicate with the individual- confirming (i) that the complaint has been properly investigated, and (ii) that the US law has been complied with, or, in the event of non-compliance, such non-compliance has been remedied. However, the Ombudsperson will neither confirm nor deny whether the individual has been the target of surveillance nor will the Ombudsperson confirm the specific remedy that was applied. Finally, Annex III stipulates that commitments in the Ombudsperson’s Memorandum will not apply to general claims that the EU-US Privacy Shield is inconsistent with EU data protection requirements. In the light of the above, the Privacy Shield Ombudsperson does not seem to provide the redress guarantees of a supervisory authority such as the DPAs as the AG had asked in his Opinion in Schrems. Draft Privacy Shield is problematic for another reason as well: it puts together the regulative framework for commercial transactions with the regulation for law enforcement access to private sector data. These are, however, different issues and they should be dealt with separately. It is important to encourage and facilitate transborder trade, thus flexible mechanisms allowing for undertakings self-compliance with data protection principles should continue to apply. But, the challenges of online surveillance on fundamental rights are too serious to be covered by the same regime and some ‘assurances’ that essentially describe the current US law. Two solutions could possibly deal with this problem: Either the US adheres to the Council of Europe Convention No. 108 and abandons the distinction between US and EU citizens regarding rights to redress or a transatlantic privacy and data protection framework that ensures a high level of protection of fundamental rights and the transparency and accountability of transnational counter-terrorism operations (the so-called ‘umbrella agreement’) is adopted. Regrettably, the current form of the umbrella agreement is very problematic as to its compatibility with EU data protection standards- or even human rights standards in general, and, therefore, does not seem to provide an effective solution to the issue. A recently leaked document reveals that the Article 29 Working Party has difficulties in reaching an overall conclusion on the Commission’s draft adequacy decision and supports the view that Privacy Shield does not fully comply with the essential guarantees for the transfer of personal data from the EU to the US for intelligence activities. Should the Commission nevertheless decide to proceed with the current draft, it is highly possible that the CJEU will be called in the future to judge the adequacy of Privacy Shield in a Schrems 2 line of cases.